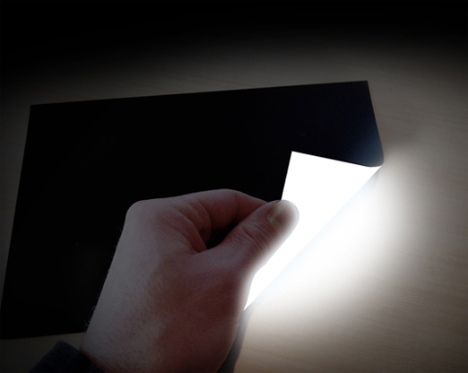 An Idaho-based company called Rohinni has a question for you: what if light was printable? It’s an odd question, for sure, and one that was purely hypothetical until recently. Rohinni has created a paper-thin LED light source that needs nothing more than an electrical current to light up. Appropriately, they have named it Lightpaper. Current LED lighting requires soldering LEDs to circuit boards, a process which is expensive and time-consuming as evidenced by the relatively high cost of LED home lighting. Rohinni’s method is simple, cheap, quick, and can be produced in large quantities. It works by mixing tiny LEDs – each no bigger than a red blood cell – with ink. 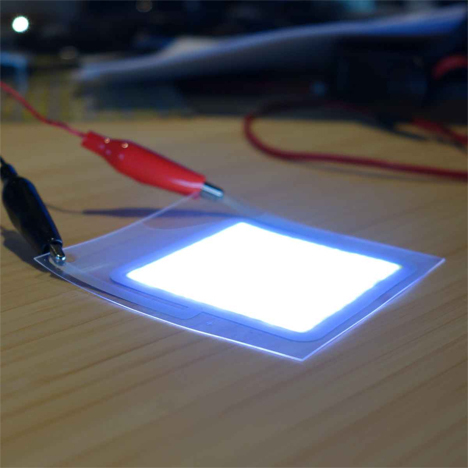 The illuminating ink is then printed onto a substance that conducts electricity. The process is clever, but not yet perfected. Currently, the LEDs aren’t distributed evenly over the entire printing surface, which can create a type of “twinkling” effect. But the company says that their forthcoming second version of Lightpaper will not have this flaw. With its low cost and an expected lifespan of 20 years, Lightpaper is on track to displace OLEDs as the future of flexible lighting. Rohinni’s ideas for potential applications are plentiful, including lighted wallpaper for hotels, glowing logos on just about anything, and even car headlights. 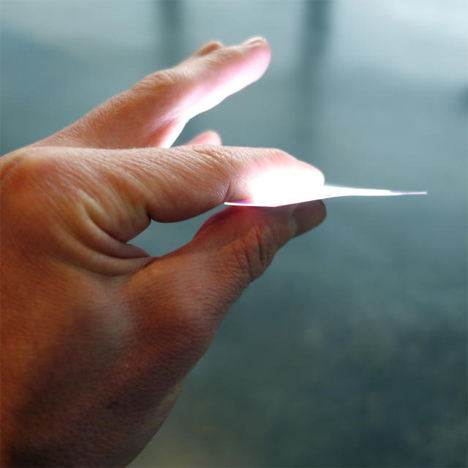 They are working with several companies to put the cool paper-thin lighting to work, and they expect the first round of products and objects with integrated Lightpaper to go public sometime in 2015.